Successful social media strategies augment your existing business plans, reflect your brand, goals and target audience. Your Internet marketing should include your website (as the back bone), email campaigns, SEO, SEM, online ads and mobile marketing. Each component should cross pollinate with the others (i.e. your website should be social media ready, and the words you use in your website content should be similar, or the same, as they keywords you use on Facebook, Twitter or your blog). 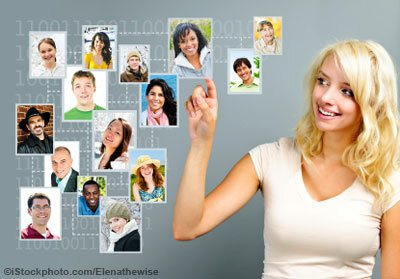 There are thousands of social networks and you can’t use them all, so choose two or three and use them really well. When deciding which tools to use, consider which tools your target audience is most likely to use, which tools best reflect your offering and which tools you will have fun incorporating into your online strategy. Identify one area of business and run a pilot. Doing so will allow you to test the waters in a manageable way, allowing you to prove concepts and build. Education should be an ongoing consideration and component of your social media plan. Educate your staff and executives as to what social media is, how to use it effectively from a business perspective and make sure to keep abreast of new tools and methods. What you can’t measure, you can’t manage. Take time to consider what are your goals from implementing social media, quantify these and determine which tools you will use to track effectiveness. There’s a wide array of social media measurement tools out there and many of them are free – use them! This is important. Every employee should know what is expected of them, what to post, and what not to post, when using social media on behalf of the organisation. Creating policies that build best practices helps ensure that everyone is on the same page. When it comes to social media you need to remember that it’s not about you but, instead, about your audience, and this is especially true for content. Make sure that your content adds value for your audience, doesn’t overtly sell and makes people want to share it with their networks too. Social media listening should be ongoing from day one. Listen for mentions (and respond! ), keep an eye on competitors, peers and luminaries. Written by Mhairi Petrovic of Out-Smarts. See original post here.